This fun Korean eatery that serves up the spicy, punchy flavours of everyone’s favourite new cuisine in bright coloured surroundings. Even the menu is strewn with adorable cartoon drawings to make the experience all that more K-adorable. It may look fun and flighty but there are some serious Korean food offerings here. 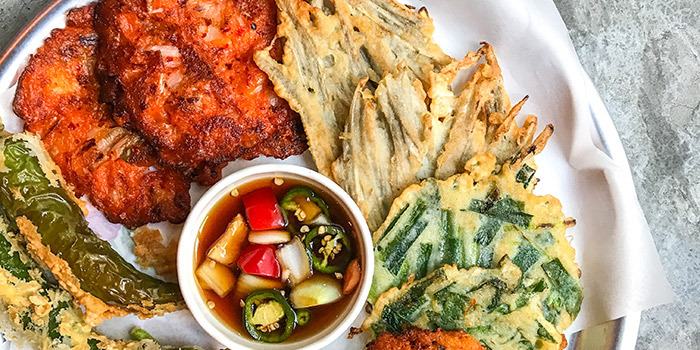 Kick off with appetizers like a hearty Korean Seafood Pancake, or an even heartier platter of tender Marinated Pork Knuckle, served up with spicy condiments and pickles. 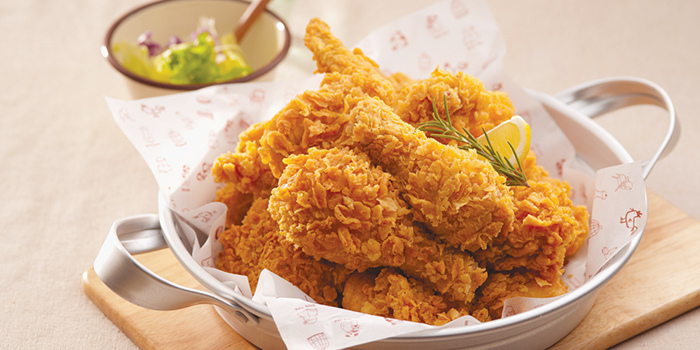 If you’re here for an indulgent, slightly trashy night out, look no further than several plates of their signature Deep Fried Chicken Wings, served with a tangy sweet and sour dip or citrus sauce. We recommend looking a little further into the menu, though, to discover such gems as the Braised Crab with Kimchi or the Stewed Silver Cod with Homemade Spicy Sauce, spicy numbers bursting with seafood flavour.